AIR INFILTRATION- If you can feel air moving through the frame of your windows it’s likely that the frame is compromised and ready to be replaced. DIFFICULT TO OPERATE- If your windows or doors are hard to open or stay open there is likely a mechanical problem with the balance or roller system that needs to be addressed. 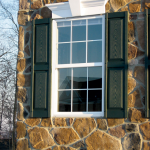 Many times the parts and labor needed to make them right make it smarter to replace window or door entirely. It’s also important for the unit to function for safety- a blocked window or door can be a fire hazard. CONDENSATION– It’s normal to see condensation on the inside of your windows during the winter time during the most cold days- but if the condensation is persistent it could be a sign that the glass needs to be replaced. Glass technology today should limit the condensation to the extremely cold or humid days. DIFFICULT TO CLEAN- If your windows have developed a haze that is difficult to clean, it could be that the seal is broken in the glass. A broken seal will allow moisture to build between the glass which will make the glass difficult to see through. Mold and mildew can also develop posing a health risk. 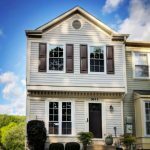 If your windows show any of these signs- give us a call for a free estimate (301) 261-3700.